One of our newspaper’s daily features is the editorial — a short piece briefly discussing an issue our community is facing and presenting the editorial staff’s collective point of view. Editorials are deliberately not credited to any specific author. This isn’t meant to be a way for the writer to hide their personal beliefs behind the paper’s reputability, but rather a means of giving readers an understanding of the editorial staff’s opinion. 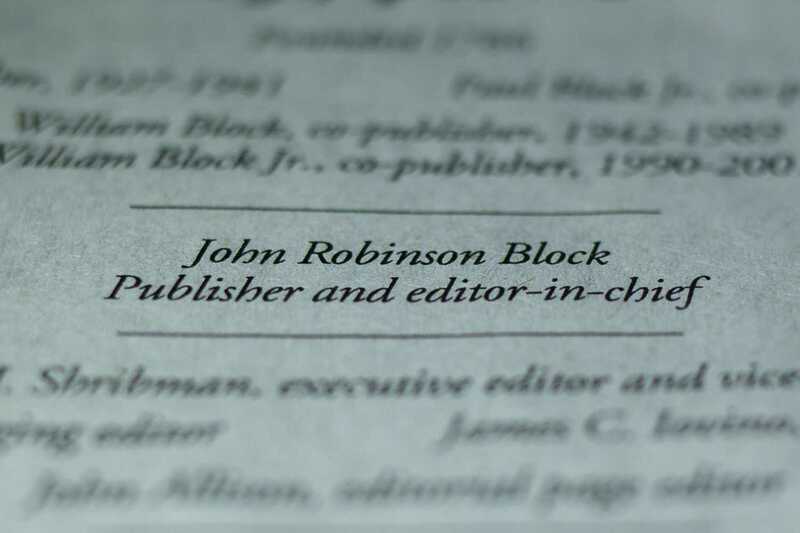 Unfortunately, Pittsburgh Post-Gazette owner and publisher John Robinson Block seems to have fundamentally misunderstood the editorial’s role in his paper. After publishing an editorial Monday defending President Donald Trump’s racist immigration comments, Block faced strong disagreement from his editorial staff. The Executive Committee of the Newspaper Guild of Pittsburgh, the union that represents much of the Post-Gazette staff, submitted a letter to the editor explaining its disagreement with hopes of it running in the Post-Gazette Wednesday. But Block decided to keep the response out of the paper, according to editorial page editor John Allison. It’s unacceptable for an individual to masquerade personal opinions as the beliefs of an institution, regardless of what position of power they may hold. But Block went further, denying his staff the right to have their own opinion heard, though his paper printed several other letters responding to the same issue. On a point where he could have acknowledged that his actions were wrong, he has yet to make things right.